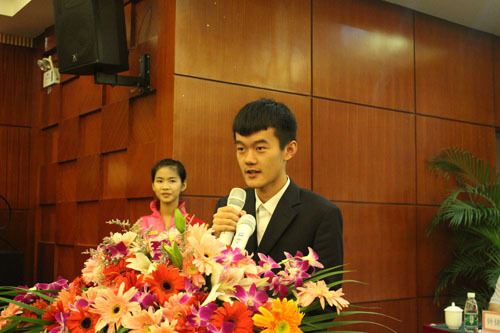 Rating favorite Ding Liren finished clear first at the 4th Danzhou Grand Master Chess Tournament that took place in Danzhou, Hainan, from 20 May to 29 May 2013. Ding Liren showed his class with an undefeated performance where he ended up a whole point ahead of his closest followers. With five victories and four draws he was able to accumulate 7 points. In the very strong field, this was enough to get a Rating Performance of 2821 points. 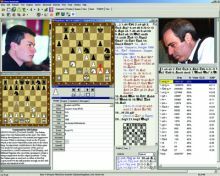 After the event, the winner declared that “he was very satisfied with the result” since this was his first victory in a super-tournament. 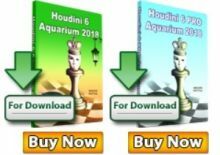 Ni Hua started dominating the tournament with four straight wins, but fell on his way to the top after losing two consecutive games in the seventh and eighth rounds. Despite these setbacks, Ni Hua finished in third place, a point behind the champion, due to his worse tiebreak score compared to Bu Xiangzhi, who took home the trophy for second place. 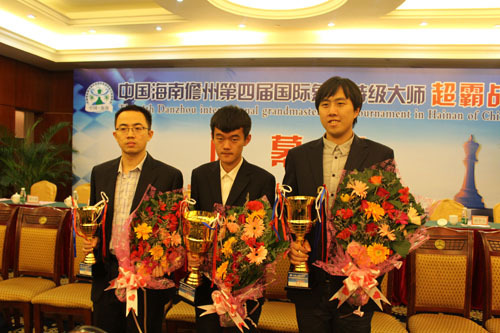 Another player who had a good result was Zhou Weiqi. 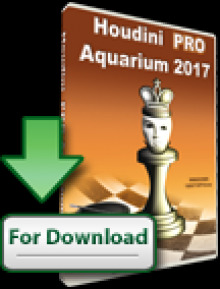 He finished in fourth place with 5.5 points, but achieved a good set of results, performing more than a hundred points over his Elo rating. 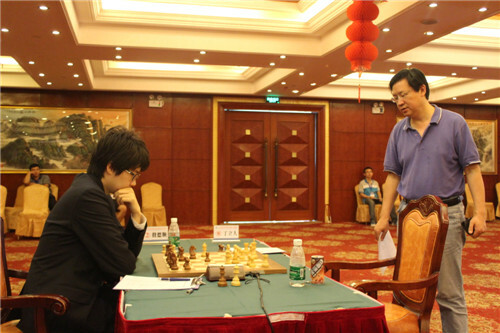 The 26-years old player only lost one game in the nine rounds – he fell against Xiu Deshun in the third day of play.